Precision Engineering and manufacturing are essential in creating products that you can depend on. At US Motor Works, quality begins with skilled technicians utilizing materials that meet or exceed OEM specifications to manufacture premium water pumps, fuel pumps and fan clutches. Our specially trained technicians apply stringent quality control standards utilizing sophisticated technology to make sure that all US Motor Works products meet the rigorous demands of our customers. When you buy US Motor Works manufactured items, you are investing in technology that has been meticulously engineered, manufactured from the highest quality materials and thoroughly tested to assure accuracy, reliability and workmanship. 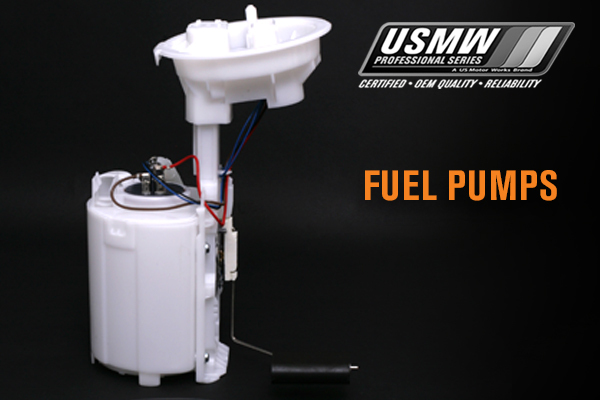 USMW Professional Series Electric Fuel Pumps (modules, rebuild kits and in-tank fuel pumps) are designed with quality in mind. All product applications have been designed and tested to meet or exceed original equipment specifications. Our electric fuel pump kits contain all of the components and strainers needed to cover the largest range of applications possible with each kit. 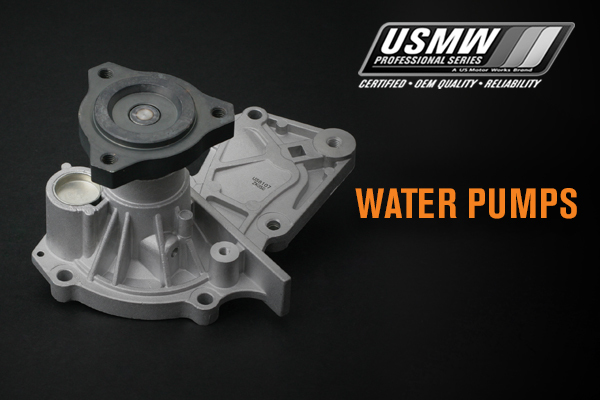 USMW Professional Series Water Pumps are designed with quality in mind. All product applications have been designed and tested to meet or exceed original equipment specifications. Our advanced research has implemented the use of efficient impellers, hubs, bearings and seals that will provide optimum cooling with performance and longevity. We use the highest quality material to create a stronger body design with less corrosion. 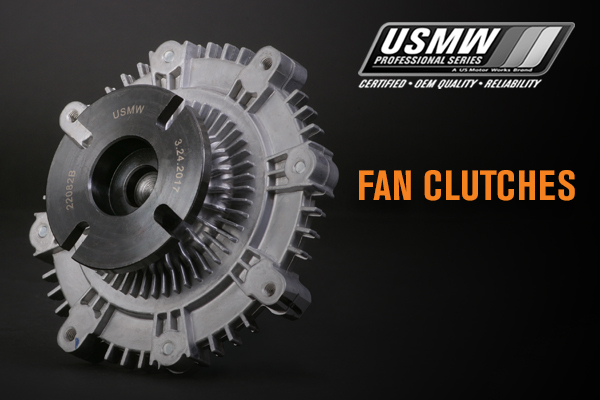 USMW Professional Series Fan Clutches are designed with quality in mind. All product applications have been designed and tested to meet or exceed original equipment specifications. Our advanced research and design in each of our fan clutches contain the highest quality material to create the most superior product available in today's market. 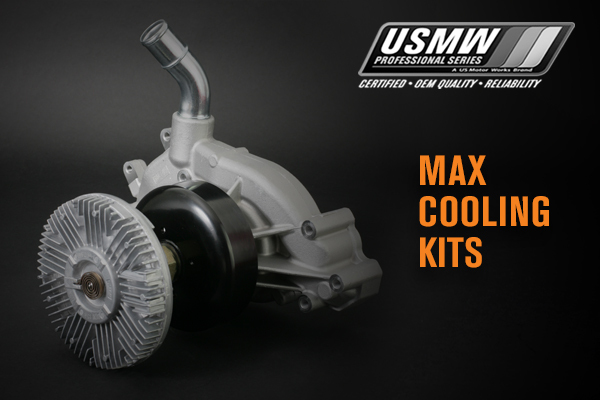 USMW Professional Series Max Cooling Kits restore cooling power with quality components. Each kit comes complete with water pump, fan clutch, gaskets and applicable hardware. By providing a kit that replaces both fan clutch and water pump you reduce the need for up sells and returns because of premature failure of a new part. This not only helps save time and labor it also builds trust between distributors, installers and customers. 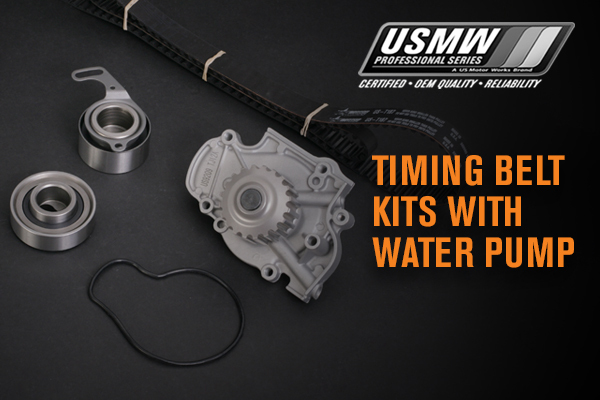 USMW Professional Series offers our Timing Kits with Water Pumps that include all the parts needed to do the job right! OEM’s recommend that timing belts should be replaced every 60,000 to 100,000 miles, they also recommend that all the components of the timing system should all be replaced at once. 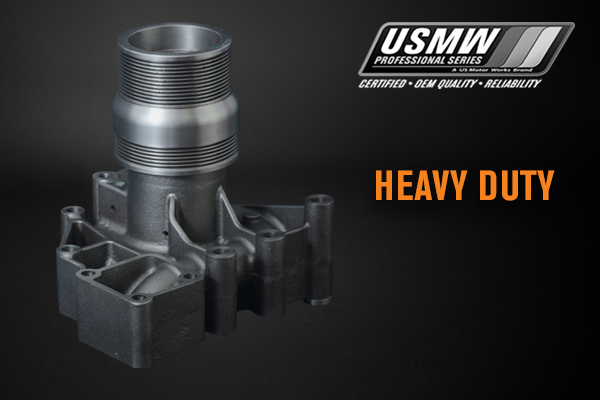 USMW Heavy Duty products are engineered to meet or exceed the original equipment specifications. Our advanced research has allowed us to implement the latest technology in every component, keeping performance and longevity as our number one priority.